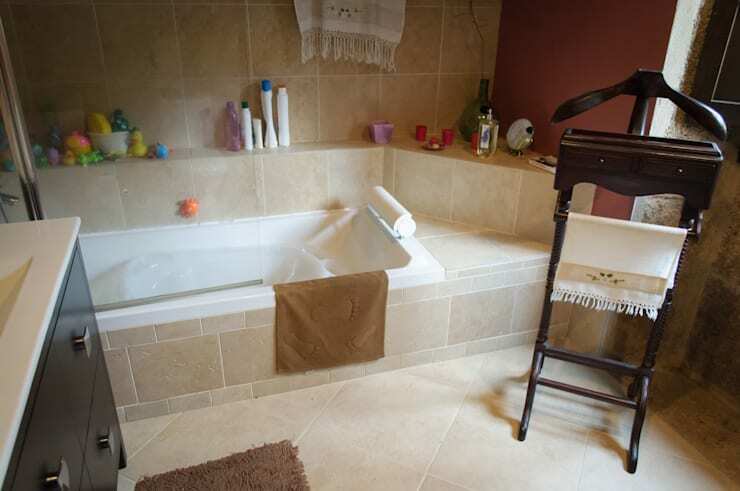 In the old bathroom, the bulky bathtub was taking up a lot of space. Also, this kind of a fitting tends to be a high maintenance one in most homes. So, for the new bathroom, the designers removed the tub entirely and created a pretty shower stall with glass walls in one corner. They also set up half a wall to separate the sink and WC unit from this area, without making it all seem too cluttered. Credit for the revamped bathroom goes to the interior designers and decorators at I Loft You. This old bathroom looked like the roof was about to cave in. There was mould growing on the walls, and the old wooden beams above appeared seriously precarious. 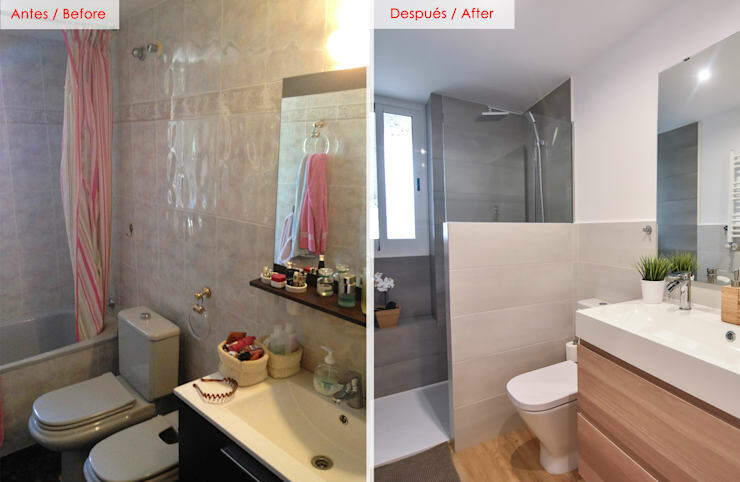 This unhygienic space was in desperate need of a makeover. 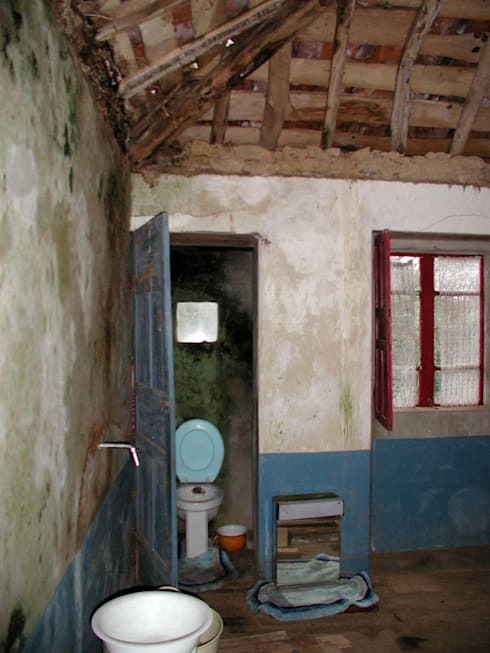 This wonderfully earthy bathroom was created after a complete revamp of the dilapidated old structure. 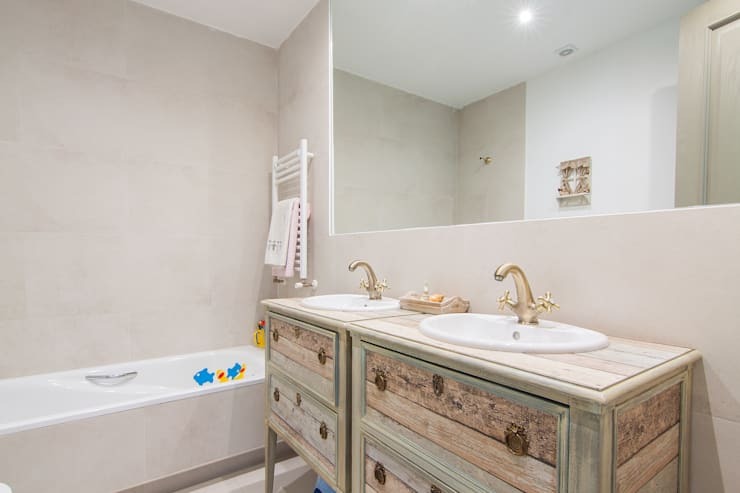 The coat hanger holds the towels and provides some old world charm, while the sunken tub and stone tiles make a luxurious statement. The bright-hued wall on one side and solid wooden bureau make for a grounded look which is also very stylish. 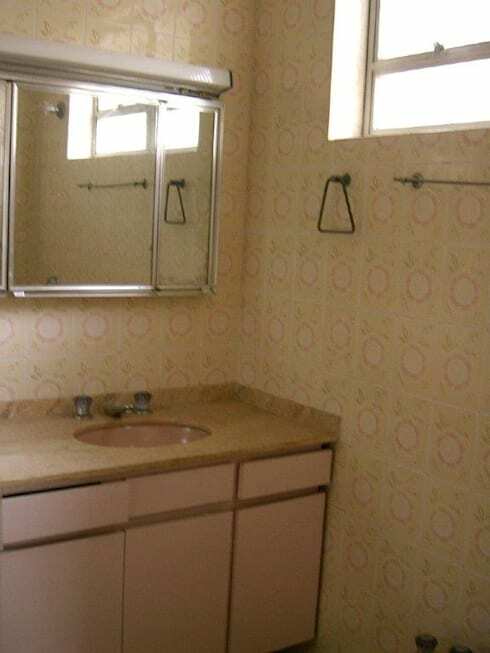 This dull and outdated bathroom features faded pink laminate and a sad pattern on the tiles. The old mirror was also ready for an update, along with the rest of the fittings. The new bathroom now has an exotic and modern vibe, thanks to the splash of grey paint and retro tiles in neutral hues. The tantalising style combination of these colours makes for a neat and interesting statement. The stone bowl for the sink also has its own eclectic charm here. 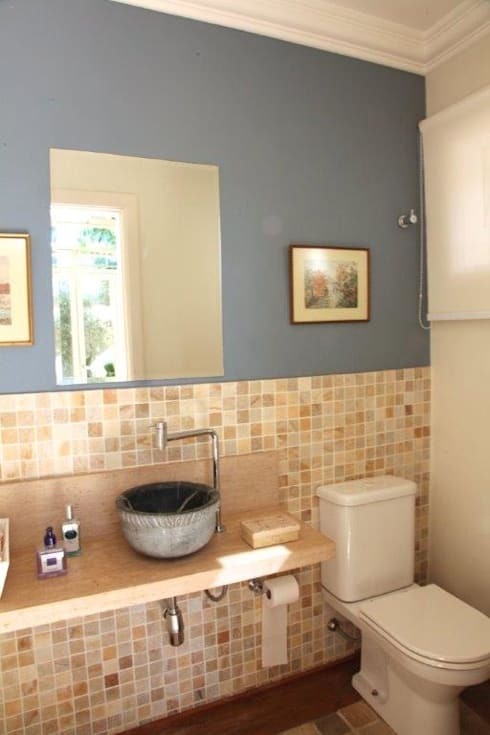 This cluttered bathroom had a WC unit hemmed in between the sink and the bathtub. 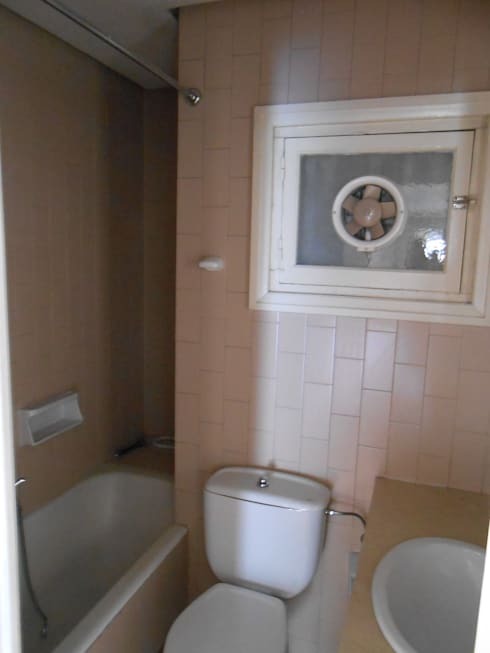 The unsightly pink tiles made matters worse, and the dark corners at the back were positively depressing. This new bathroom now makes a rich design statement, built on the basis of neutral materials and a few exotic touches. The distressed look of the country-style cabinets and the vintage faucets make for an amazing touch, while the layout has been switched to make the most of available space. In the mood for some more makeovers? Check out From crumbling ruin to dream family home for more inspiration! Which of these makeovers inspired you the most?